Greetings from Vermont, and Happy New Year! It is with great pleasure that I write to tell you about a stunning debut, that of David’s Inferno, a remarkable book which many in the publishing community are already calling, “an instant classic.” I am the lucky agent for this book, and my own publisher, Hatherleigh Press, bought it from me last year. The most satisfying piece of my work, as a new literary agent, is selling a book, and having it start getting noticed! I am excited to write this post because we just got the presale numbers from Random House TODAY, and they have exceeded our expectations! Not since William Styron’s Darkness Visible, or more recently Kay Jamison’s An Unquiet Mind, has a book made the experience of depression so understandable and real—both for those who suffer from it and the people who care for them. 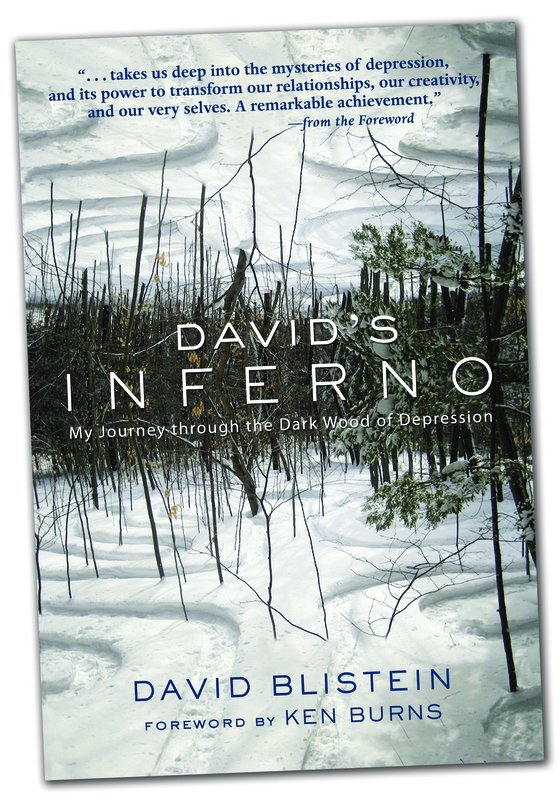 David’s Inferno combines intensely personal reminiscences of the author’s two-year nervous breakdown with contemporary insights on how major depression manifests, is diagnosed, and treated. At the same time, its gentleness and wry humor offer hope that there is a way through the minefield, and real light at the end of the tunnel. With its reflections on Dante’s own journey through the Dark Wood and fascinating discussions of diagnostics, drugs, and alternative medicine, David’s Inferno goes way beyond memoir to explore depression’s ability to transform our relationships, our creativity, and our very selves. Here are some reviews that have been published . . . with more coming daily . . .
David’s Inferno was typeset in Dante, which was designed from 1946 to 1954 by Giovanni Mardersteig at the Officina Bodoni, as the press returned to full production after the Second World War. Mardersteig goal was to create a new book face type with an italic face that worked seamlessly and elegantly with the roman. The designer was meticulous about detail, and he continued refining Dante for years. Dante was the last and final type that Mardersteig’s designed, as well as one of his finest. The name comes from an edition of Trattatello in laude di Dante by Boccaccio—the first book to use Dante—which was published at the Officina Bodoni in 1955, the year that the Monotype Corporation of London issued the typeface for machine composition. The new digital version of Dante, redrawn by Monotype’s Ron Carpenter, is free from any restrictions imposed by hot metal technology. In 1993, Dante was issued in a range of three weights with a set of titling capitals, which are used for page titles or headings.